What is a Dog DNA Test? Is it Just Another Gimmick? Well, How Does it Work then? How to Select the Perfect Dog DNA Test for Your Fido? So you recently adopted a cute little pup of your own and to your curiosity, the breeder told you that your Fido is a pure breed. But is he? Also, if he’s a mixed breed, who were its ancestors? Luckily, now it is possible to find a satiable answer to all your questions thanks to the Dog DNA Test Kit! Ever since the launch of such products, the market has been flooded with a lot of those home DNA testing kits. However, in our research, while some of them were totally legit, the remaining, to our surprise, were, let’s say, ‘gimmicky’! But do not worry a bit as we bring you the honest review of some of the finest Dog DNA Test Kits found on the market. 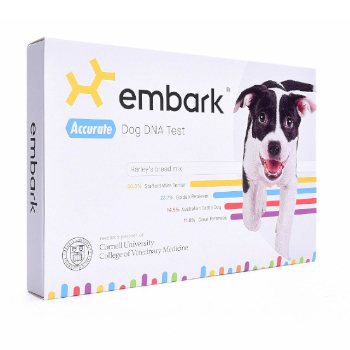 Embark is the leading DNA Test for Dogs in the market due to its superior accuracy. 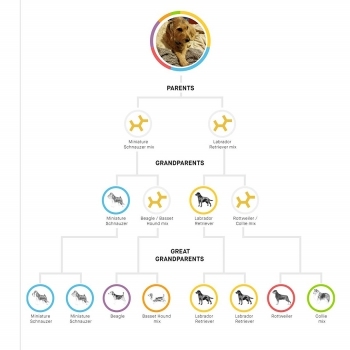 It effectively makes an ancestry tree for your pup for up to 4 generations so that you can know what were the great-grandparents of your pup! Along with the breed testing, Embark also checks for 160 potential diseases in your dog’s DNA and if you are wondering if the Fido is having wolf or coyote traits, there is testing for that too. With a superior database of 250+ dog breeds and a high customer satisfaction rate, Embark is our number one choice! 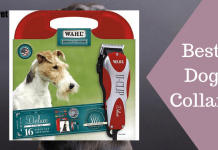 Here are our top picks for the Best Dog Breed Testing Kits that are there in the market. A DNA Test for Dog is just the same as any other DNA Test that you might have heard of before or have seen on the television. It is used to find out the ancestry of a particular species. For this particular product, we use it on dogs. Using the product, you will be given detailed information regarding the ancestry of your Fido and will learn which species has it arrived from in the past few generations. These tests give you a family tree of your dog so that you can know what maternal and paternal genes the Fido has gained. Along with that, this test will let you know about the potential size of your dog once he gets mature. Also, about its shedding or drooling potential and much more. These tests also check for specific diseases relating to the dog’s DNA and alert you regarding potential diseases based on your dog’s ancestry and the breeds it has arrived from. Of course not! Dog DNA Tests are totally legit(in most cases!). It is done by scientific DNA testing of each individual samples and to our surprise, some of the tests in the market are even capable of showing the ancestry of past 3 generations of your canine. Also, as you may already know that current dog breeds have developed from coyote or wolves. Therefore, these tests check for coyote or wolf genes in your dog’s DNA! However, one thing to keep in mind is that this is still a young science. It is growing along the way. So all those businesses out there on the market use their own individual techniques. While some of them may show precise results, others may con you with false information. And therefore, we are providing you with this review. So that you can stay safe from potential gimmicky products. The function of the canine DNA Test is simple. All you have to do is take a sample of your dog’s saliva from inside of its cheek. To take the sample, all the kits come with a swab so that you can do this task easily. Once you take a cheek swab, all you have to do is mail the sample to the sample back to the given address. These brands then perform individual experiments on the sample and provide you with results in a few days. To mail the sample, all you have to do is make use of the packaging box of the dog DNA test itself. It comes with a prepaid postage so you won’t have to spend another extra dime after mailing. Along with that, the package comes with a bio-bag and sealer to make sure that the sample stays intact by the time it reaches to the brand. All these tests work individually. There is no prototype method to perform this task and therefore, all the brands that you find in the market will have their own individual methods and algorithms to process the sample and come up with a result. And due to the difference in techniques, there is often some difference in the results of these dog DNA tests for the same product. Due to the difference in the results, there is no proper way to let define which test is legit and which one is not unless you already know about your dog’s ancestry. Some of these brands work really hard to get to produce legit results. What they do is, they have developed a database of several million dog samples. By doing exhausting data analysis and matching the dog DNA with several hundred dog species, they give a foolproof result. However, the results widely vary depending on the quality of data analysis and richness of the database. However, in our opinion, the most important of these is the quality of data analysis. For example, one Dog DNA Test may have 250 breeds in its database and there is another with about 150 breeds. So which one should you go for? Of course, the higher one, right? Absolutely not! You must go with the one that has a better quality of data and performs its process like a pro to provide you with accurate results. So it is not about the number, it is all about the quality of the process. First of all, a DNA is the trace of one’s genetic build. So when a dog is born, it gets a set of genes both from its mother and father. What makes a pupper unique is the fact that the distribution of genes is totally random and therefore you may have seen different looks and traits in siblings from same parents. The DNA pattern of a dog defines how it is going to age, what size it’ll be after growing up, will it face particular diseases, shedding issues, and much more. There are mainly two types of DNA. One is dominant and the other is recessive. Recessive traits are those that have to be inherited from both the parents, while the dominant traits tend to take place even if arrived from a single parent. Both these dominant and recessive genetic markers work together to form the physical appearance of a dog like its height, fur color, spotting, limb size, shape and size of the head, and a lot more. However, by close examination of the DNA by a Dog DNA Test, one can predict a lot more than just the physical aspects of a Fido. Once you determine the ancestry of your pup, you can learn a lot about his susceptibility to certain diseases and a lot more. There are certain diseases related to every dog breed that can likely be seen as the dog grows up. However, it is pretty tough to determine what diseases a dog is going to be susceptible to without knowing its full ancestry and what genes it has inherited from the ancestors. As we already said, it is completely random how genes get distributed. So it is likely that the dog may not have any problematic maternal genes but may have paternal genes that are prone to certain disease. All this can be known by doing a Dog DNA Test of your Fido. 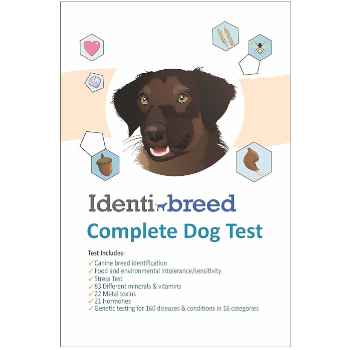 Once you get the test done, you will be given a report about the prone diseases, the current health condition of the dog, its probable growth, and a lot more just with a single Dog DNA Test! Let us present you the reviews for some of the finest DNA Test Kits on the market. By comparative analysis of each product, hopefully, you’ll be able to choose what’s best for you. Embark is one of the Best dog DNA tests on the market. The best thing about this DNA test is its proven accuracy. 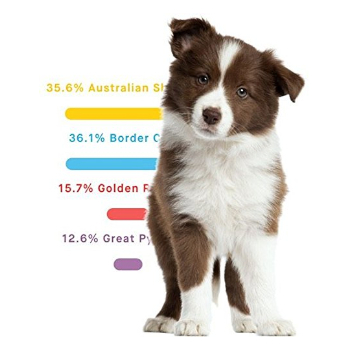 The test gives you accurate data about the dog’s ancestry for 4 generations! To build the Ancestry tree, Embark makes use of its database of over 250 dog breeds. The results we and other users have found by using this service is pretty accurate. Embark gives advantageous results compared to any other gimmicky product on the market. It gives superior results in case of mixed breeds as well as creating happy customers everywhere. This is a premium service, hence it is priced at a much larger price compared to any other Dog DNA test. It tests the sample and gives you comprehensive information regarding the disease potential of the dog. Embark is associated with Cornell University for research purpose. Perhaps this association makes it the most reliable Dog DNA Test on the market. Another fine thing about this product is its potential to find out precise results about the maternal and paternal ancestors of your dog up to the great-grandparents. Sometimes when you adopt a Fido from a shelter, its appearance makes you skeptical about the origin of the dog and whether it is not having some wolf and coyote genes, right? Well, to help you get out of your head, this Dog DNA Test checks for wolf and coyote traces and genetic mutations too. So if that odd looking fella is a lost wolfie, you’d know very well! The service sometimes takes a little more time in case of mixed breed dogs due to complexity of genes. However, the service is superior compared all the competitors out there. It may cost a little bit extra, but in terms of quality results, this is the one to go for. Tests for 250+ breeds available in USA and in all over the world to get you accurate results. Even tests for coyote or wolf traits. Gives the most precise results for both the pure and mixed breed canines. Checks your dog for more than 160 potential diseases. Generates an precise Ancestry tree up to the great-grandparents of your Fido. Most costly Dog DNA Test in this segment. Wisdom Panel is one of the best dog DNA tests on the market, mostly due to its on point pricing and word of the mouth by other users. 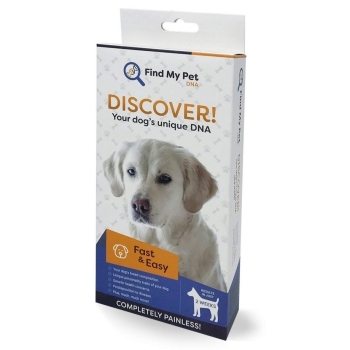 The downside of this product is that it will not test your dog’s DNA for potential diseases. For that, you have to purchase a similar variant of the product which priced almost the same as the Embark. However, the upside is that if you just need to know the ancestry of your dog, then this is your value for money product! This dog DNA test traces the past 4 generations for your dog so that you know what that rescued dog is made up of! Majority of the customers are pretty satisfied with the results as they do not ask for pictures or other data of your dog. The test is pretty easy to do. You are provided with 2 soft bristled brushes that you have to swab inside your dog’s cheeks and then send the sample back to Wisdom Panel, which provides you with a segregation of your dog’s breed genetic markers and an ancestry tree. Along with that, the product does this “Drug Sensitivity Screening”, which they call life-saving. This MDR1 testing will check your dog’s sensitivity to various drugs and will let you know if Fido is sensitive to any. This can be life-saving and may prevent any medical blunder from occurring in the future. The results come with predicted weight profile of your dog. 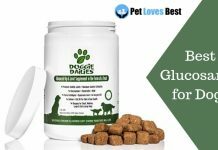 This can be useful for you to plan the perfect diet for your dog. Also, knowing the ancestry of the Fido, you’d be able to predict particular disease potential for it. All in all, Wisdom Panel 3.0 is gives you the best value for money Dog DNA Test. Yes, it may not check for potential diseases, which is a bummer. So if you are looking for the ancestry DNA testing only, go for this test, else, for a full-fledged test, we’d recommend Embark. Checks for over 350 breeds all around the globe. Builds a 4 generation ancestry tree for the Fido. Gives a detailed analysis of each dog found in the ancestry tree. One of the best value for money Dog DNA Test on the market. Has the largest dog database in the world with data of over a million dogs. Does not check for potential diseases. IdentiBreed is one of the newest arrivals on the market. 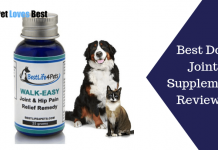 It does not only test your dog for ancestry and diseases but also for food and medicine intolerance. It can identify about 125 food and medicine related incompatibility. 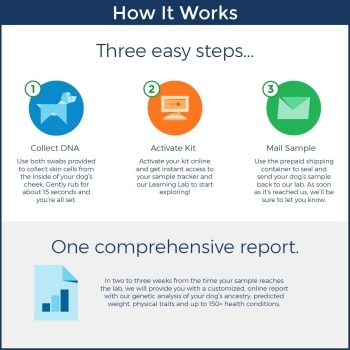 This Dog DNA Test offers much more functionality compared to any other test on the market. They do not only test for food and environmental intolerance, but they also check for stress in your pet through the Hair cortisol test. The method for DNA testing is pretty much same as any other test available on the market. However, this test requires a small sample of your dog’s hair to identify stress potential of your pup. This is also useful to measure mineral and metal toxicity that your dog has come in contact with. 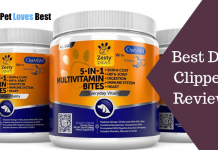 One thing that we would like to shed some light on is that there are a lot of skeptical reviews about this product on Amazon and while most of them are in favor of this product, the negative reviews cannot be ignored. Along with that, the ancestry tree that this dog DNA test provides looks absolutely absurd. And in the case of many users, is pretty inaccurate as well. Another skeptical thing about this product is that they require an image of your pup. So there is a contingency that they might just be making a guess without performing the actual test. Also, the packaging of the product is not that well. As there are chances that sent package may get contaminated due to poor quality. All in all, there are chances that this Dog DNA Test might be legit. However, in our opinion, you should go with either Embark or Wisdom Panel, who have already proven that their test results are pretty accurate and not bet your money over something that may be gimmicky. This Dog DNA Test has a database of 300+ breeds. Tests for more than 160 potential dog diseases. Not reliable at this point of time. Ancestry tree not accurate for many customers. Chances of contamination while sending the package. Find My Pet is another Dog DNA Test that offers you to find the ancestry of your dog. 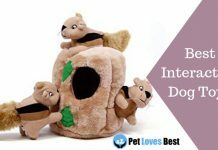 In addition, it also offers the functionality to test for what the dominant breed does your dog have. Also, all the results are segregated in levels to determine the percentage of breeds found in your dog’s DNA. All this information can be useful in order to determine the perfect training strategy for your pup. Also, by knowing the fractional breakup of the mixed breeds, you’ll be able to plan the perfect nutritional plan for your pet and save the pupper from potential diseases that the detected breeds are susceptible to. However, there has been a lot of inaccuracy in the test results for a lot of customers. Many of them claim that the results came were too skeptical and inaccurate. Also, the price of the Dog DNA Test is comparitively similar to other products such Wisdom Panel 3.0. Therefore, in our opinion, rather than betting your money on something that has not proven the accuracy, go for one of our two suggested products. It checks for personality traits about your dog. 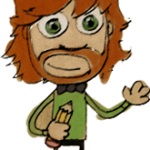 Gives information regarding the dominant breed. Gives a percentage breakdown of the breeds present in the dog’s body. The brand would not disclose the number of breeds in their database. Apparently, they have most of the North American Breeds as per their website. It does not check for any disease. 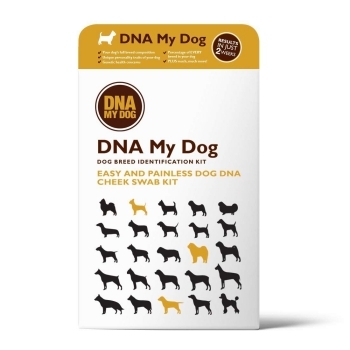 So here is another product that claims to do dog breed DNA testing. However, does not deliver any extra functionality along with the breed breakdown. DNA My Dog is a service that requires a picture of your dog. There are reviews that claim that they knowingly sent a wrong picture and received results reflecting the image they sent rather than the sample. This Dog DNA Test does not even find the ancestry tree of your dog. All it does is breaks down the breeds available in your dog’s DNA in level by level. And according to the detected breeds, they provide some information about your dog’s personality traits. Also, the database is limited to about 100 dogs. Due to no legit and satisfied review along with a picture of the report is posted, it makes us feel skeptical about this Dog DNA Test. So in our opinion, better to stay away from the product and go for something like Embark or Wisdom Panel. Gives information about possible personality genetic markers. Limited database with about 100 dogs. Not reliable and possibly a scam. A great number of unsatisfied users. Though there are a lot of these DNA Test products for dogs available in the market, not all of them are legit. In fact, a lot of them a proven gimmick or scam. 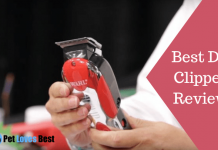 To ensure that you invest only in a legit product and do not get cheated, here is our buyer’s guide that will allow you to choose the best. So here is our comprehensive list of things you need to keep an eye on while purchasing a dog DNA Test. The first thing you need to make sure is that your possible dog breed needs to be covered in the database of the Dog DNA Test you are about to purchase. One thing to keep in mind here is that most of these tests are emerging as they are being actively used by different breeds of dogs. They are constantly increasing their findings and database. Thus, if your dog has something rare in his ancestry, there are chances that it may not be available in the database of small-scale dog DNA tests. So make sure to check out the breeds list. In our opinion, there should be at least 200 breeds in the database for you to get legit results being in American demographic. Make sure that your test provider gives results with the inclusion of a family tree. Ancestry tree allows you to know about the parent, grandparents, or even great-grandparents of your dog. This functionality is well provided by Embark and Wisdom Panel. However, the other products do not seem that promising. It is possible to determine potential disease threats for your dog. So it’s great if your Dog DNA Kit provider checks for diseases. Some products include these along with their ancestry test. 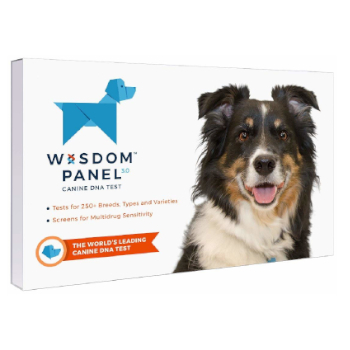 However, products like Wisdom Panel have a separate product that includes both ancestry and health test in a single package. It really depends upon you whether you need to do the overall test or just the ancestry one. If you have just adopted a pup from a rescue or shelter and wondering why your pup looks like a wolf, well, there is a possibility that he indeed might be a wolf! Though your pup may not be a pure breed wolf, there are high chances that he might have a wolf or coyote genes in his DNA! So just for the sack of curiosity, or to make sure that the pupper does not have a wolf daddy, it is advisable to get his DNA tested with a Dog DNA Test, especially if he howls at the night! Make sure that test for wolf and coyote genes is included in your dog DNA test. While some Dog DNA Tests effectively determine both mixed and pure breed pups. Some of them cannot determine a pure breed pup due to the possibility that he might have inherited 100% of the genes from one of the parents. However, advanced tests like Embrak effectively determines the breed in such case. The price of all the tests is almost the same. However, Embark sets its standards higher than its competitors. Wisdom Panel is a great alternative if you are just looking for the ancestry test. All the tests take a minimum of 2 weeks for the results to arrive. However, a lot of people have reported their arriving after a month or so. Make sure your Dog DNA Test provider is reliable and has a good customer service. The market is flooded with potentially gimmicky products. In our research, almost all the products except for Embark and Wisdom Panel seemed to be a scam. While Embark is our number one choice due to the quality of service, advanced technology, and superior accuracy, you can surely choose to go with Wisdom Panel for a more convenient price. If you have any other query regarding the products listed here, make sure to give us a comment. We’ll get back to you in no time. 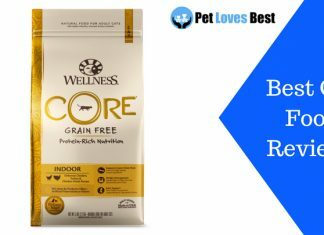 Previous articleEmbark Dog DNA Test Review – The Best Breed Test Ever?